The protection of power distribution and transmission systems is a critical application in ensuring safe, reliable and efficient supply of electricity to the consumers. The protection allows for the mitigation of damage due to various network faults, preventing equipment damage and reducing downtime that can often result. 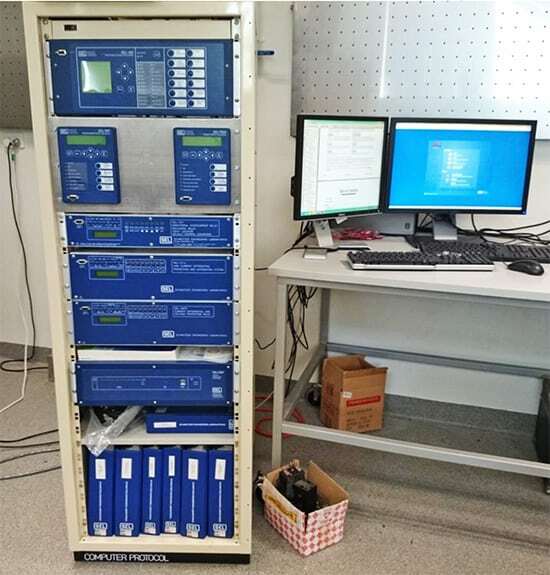 Within the University there is a collection of digital protective relays manufactured by Schweitzer Engineering Laboratories, where the functionality, requirements and operational knowledge of the available devices remains largely unknown. Thus this thesis was tasked with drawing out this knowledge and providing a means of demonstrating the functions of the available devices. Simulator development and operations testing. The familiarisation and investigation components of the project allowed for acquisition of the required level of knowledge about the devices to enable development of a suitable Simulation platform to demonstrate the functional operations and applications of the available devices. This portion of the project yielded the required details about the scope of the protective functionality, the mechanisms and requirements to program this functionality and the operation requirements. This resulted in the construction of a hardware based Simulation platform, provided through Lab-Volt equipment, demonstrating the functional capability of the Transformer Protection Relay. The testing component provided a mechanism to ensure that the simulation and relay would demonstrate the available functionality as expected. The simulation platform can be used to demonstrate the overcurrent and differential protection functionality along with providing an operable insight into the relay monitoring and metering capabilities. Hardware limitations prevented a truly realistic simulation being developed and tested, notably the low fault levels and restricted fault types available. However the construction of this Simulator has demonstrated the acquired knowledge of the relays and provided the groundwork to extend the Simulator to incorporate further relays and protective functionality. 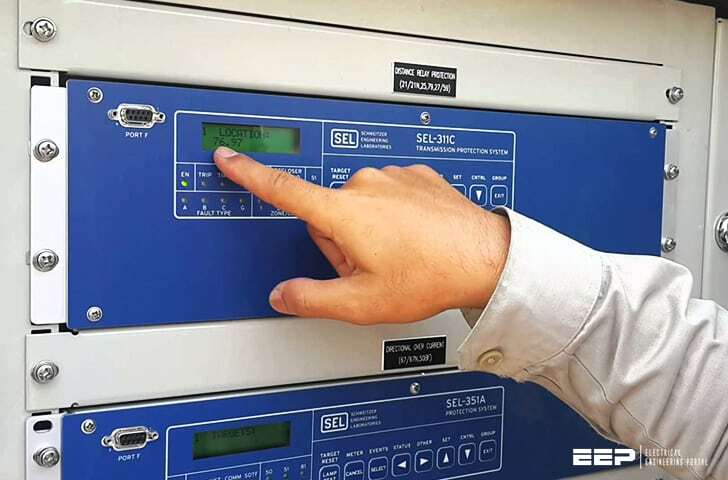 The SEL devices are intended for protection of high voltage distribution networks and all equipment types, including transformers, busbars, feeders etc. As such, they offer a wide variety of different protection functionalities which, in some cases are quite complicated. 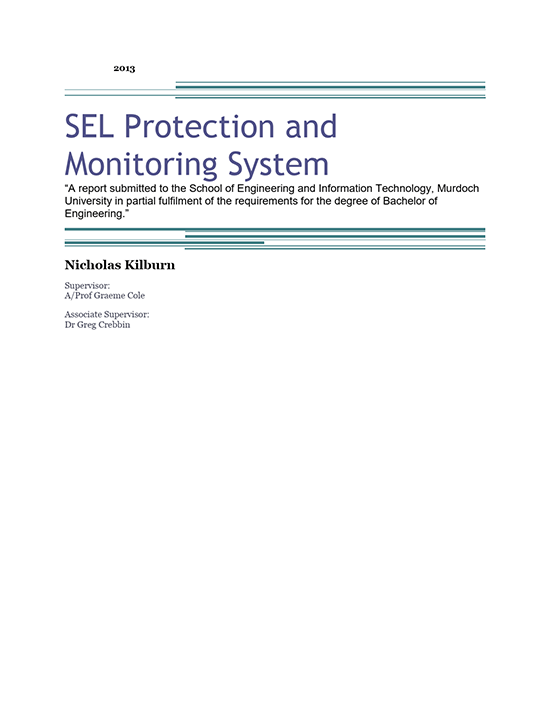 Having a limited knowledge of the functionality and the requirements (wiring, programing and commissioning) to achieve this functionality makes the development of a suitable distribution protection simulation difficult and nearly impossible to achieve.